Unhappy with your investment advisor? You’re not alone. I recently met a very nice lady, whom we will call Suzanne, who is very unhappy with her investment advisor. Suzanne is a single (divorced) professional who seems to be doing well financially. She has a good job and decent savings. For the past 10+ years Suzanne’s portfolio has been managed by a fellow at a Big Brokerage Firm. Suzanne admits that she has been “hands off” regarding the portfolio over the years. Now, however, she is now in her late 50s and is starting to worry about retirement. She’s frustrated because she can’t make sense of the 100-page report she receives and doesn’t understand what the portfolio contains. She believes that she is paying fees but doesn’t know what they are. She is concerned that her portfolio has underperformed over the years and is angry because no one ever talked to her about it or explained to her what her different options might have been. Suzanne came to me because she wanted a second opinion. She didn’t want to talk to her current broker, either because she now doesn’t trust him or because she didn’t want to hurt his feelings by questioning his past management of the account. She wanted me to review her portfolio and tell her what is in it, what she’s paying for it, and how to restructure it to ensure that she’ll meet her investing goals. Over the years I have seen many investors like Suzanne, and I empathize with them. They feel betrayed and are angry, both at the professional they trusted and at themselves. They fear that they have blown an opportunity and are scared that their financial future may suffer as a result. My instinct is to try to help. Unfortunately, that sounds simpler than it usually is. To be sure, there are specific investing issues that I could uncover and explain to Suzanne if I were to devote the many hours it would take to do a thorough analysis of her portfolio. I could research and walk her through everything that’s there, including her fee structure and investments like options, annuities, hedge funds, structured products, proprietary products, limited partnerships, etc. Of course, that assumes that I knew what her broker’s strategy for her and the portfolio was in the first place. It also assumes that I know enough about Suzanne’s circumstances to judge the appropriateness of her current investment strategy. Even if such an analysis were a sufficient response to Suzanne’s problem, it is not likely to happen. Having been disappointed once, Suzanne is not likely to trust anyone again easily. Not knowing whom to trust, she demands performance – or at least answers – up-front. As a result, she will perceive a proposal to do the necessary work for a reasonable and fair fee as another attempt to take advantage of her, and will reject it. The silver lining in this situation, however, is that Suzanne’s real problem is not her portfolio per se. It is the fact she has abdicated her responsibility to play a meaningful part in her own financial decision-making. In fact, unless she changes her own approach and behavior, the chances are good that she’ll end up in the same situation all over again, even if she changes advisors. “Isn’t that harsh?” you may ask. “Aren’t you blaming the victim?” Please don’t misunderstand me. I do not condone the kind of professional practices that Suzanne has experienced. I agree that – in the best of all possible worlds – such things would not happen. Yet Suzanne, like millions of other investors, has the power to demand, and get, better service. Indeed, my experience has taught me that no one can be helped if they do not want to be. Real help is not so much something one person does for another as it is a mutual relationship of change that two parties enter into together. Own Your Timetable. Face it, it’s your life. If you don’t make your financial project a priority, why should anybody else? Don’t wait 10 years before you take a look at whether you’re on the financial path you want to be on. Find the time to do it now. Respect Yourself. Suzanne felt intimidated – talked down to – by her broker. She didn’t need to put up with that, and neither should you. Demand a personal relationship with an advisor that works for you. Demand honesty, openness, understanding, and clear communication. Above all, don’t be afraid to be heard. If you don’t understand something, assume you have a right to ask. Know Your Advisor. It’s up to you to understand who you’re working with, both the company and the person. Learn about your advisor’s qualifications, both professional and personal. And don’t overlook the company s/he works for. Is it a sales-driven or a service-driven organization? Don’t expect even a highly qualified person in a sales-driven organization to spend a lot of time servicing your account. That’s not what they’re being paid for. Be Engaged. If you want to build a house, you’re not going to tell your architect “Oh heck, go ahead and build me anything you want.” And yet that’s what Suzanne did with her investment advisor. She waived her responsibility to provide a vision for what she wanted. No one expects you to have the technical knowledge that an investment professional has. At the same time, you are the leading expert on your own life and circumstances and financial goals. You need to describe the house you want your professional partner to help you build. Weigh Fees & Costs. 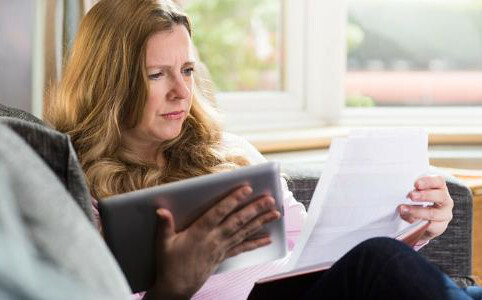 You should expect to pay a fair price for excellent service and good products, but your advisor should be happy to explain their fees as well as other costs that you may incur. Educate yourself about both direct and indirect costs, because many times there are trade-offs. It doesn’t gain you much to have great investment returns if you end up paying too much in taxes as a result. Similarly, an active trading strategy should be evaluated in the light of the recordkeeping and administrative costs involved, and not simply raw investment returns. In the final analysis, it’s up to you to evaluate the value of these things to you. Understand Your Strategy. It’s also up to you to understand what you’re trying to do with your portfolio and why the general approach that you and your advisor are taking fits those goals. Believe me, you’re smart enough to do that. For us, this typically begins with a client’s financial plan, but even if you work with an advisor who doesn’t do financial planning, there should at least be some context. If you don’t know how you want your portfolio to behave over the long term, it’s pretty unlikely to meet your expectations, isn’t it? Review Your Progress Appropriately. Portfolio reviews are like The Three Bears. You don’t want too much, and you don’t want too little. You want ‘just right.’ In other words, you don’t want to over-react and chase performance. Neither do you want to allow a bad investment to linger once it’s clear that you should make a change. The exact timing of those things is, of course, a matter of judgment and discussion between you and your advisor. If you follow these rules, you will never be in the position that Suzanne found herself in. And if you are currently in a situation like Suzanne’s, following them is the way to right things and get back on track for good. Previous PostLooking for success? Look inside the box inside the box.